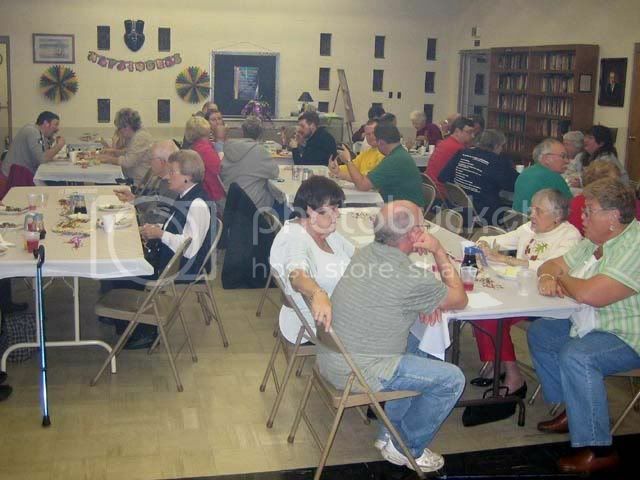 There was a very nice crowd on hand as St. James' annual Shrove Tuesday pancake supper took place in Latta Hall on Tuesday, February 24th, 2009. There was a big crowd in Latta Hall for the pancake supper. Event workers report that "business" was steady all evening long. 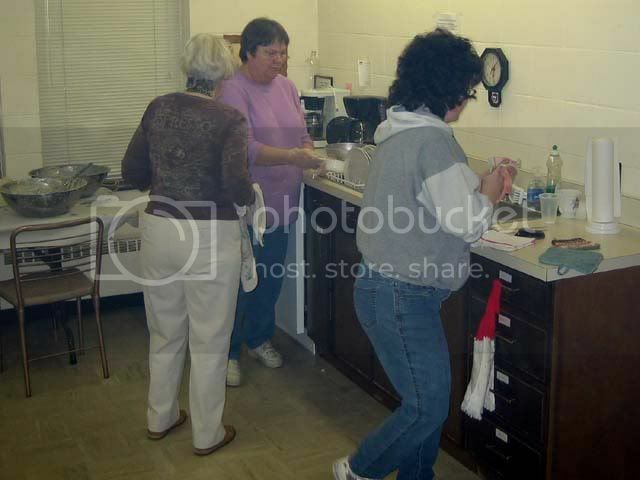 Rhoda (left, back to camera), Jody, and Barb, stayed busy making batter and preparing food in the kitchen. 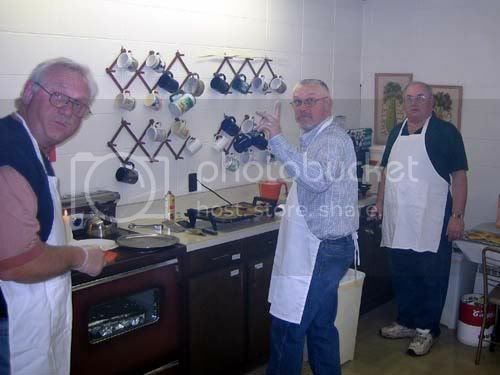 Chuck (right) and Phil (center) are cooking pancakes. Brent (left) is staying busy delivering them to be served. Brent delivers pancakes to Sally (center) and Jane (left). Who then serve them, to be enjoyed by all. Be sure to check our schedule for a list of other special Lenten and Holy Week services and activities. 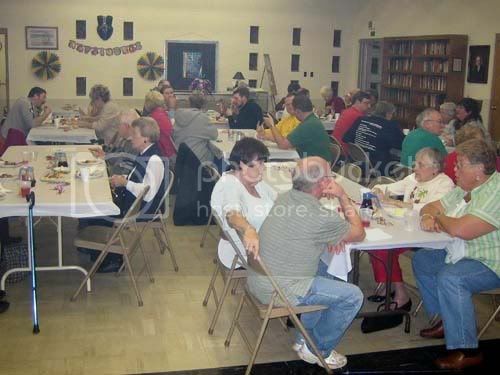 The third meeting of the 150th Anniversary Planning Committee was held on Saturday February 21, 2009. Meeting attendees read the meeting notes from the January 24th meeting. The theme for the First Friday on August 7th is the “Doors of Goshen”. Steve will work on contacting the organizer of the First Friday event to discuss publicity. Apparently there isn’t a separate brochure for every First Friday event, but we can see about getting mentioned in the event’s media article in the local papers when the August event is publicized. Steve will also look into what it takes to set-up, etc. and more general information about it. 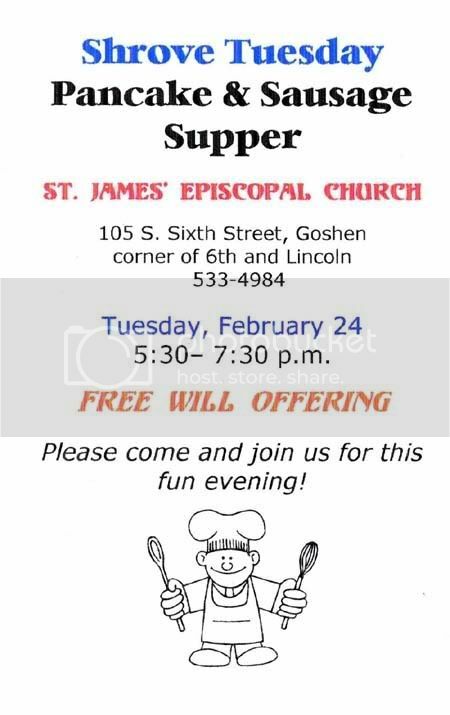 The Goshen Historical Society will also be contacted to see if we could set up a booth in front of the museum or if a theme could be coordinated with the St. James’ celebration. Steve looked into the idea of handing out free bottled water at the First Friday event with Hawkins Water Tech and Hawkins suggested he directly contact Bill Wade at Whispering Springs in Pierceton. 1,700 bottles of water (one pallet) would be approximately $650.00 depending on the how much color would be on the bottles’ label. Father Larry will follow-up on this and get the ball rolling what the next step is to determine artwork. Father Larry contacted the Bishop and he will be out of the area during the time of the 150th celebration. Canon Silla will be here on both Saturday and Sunday. The Bishop will record something to display at the openhouse with the slide show. 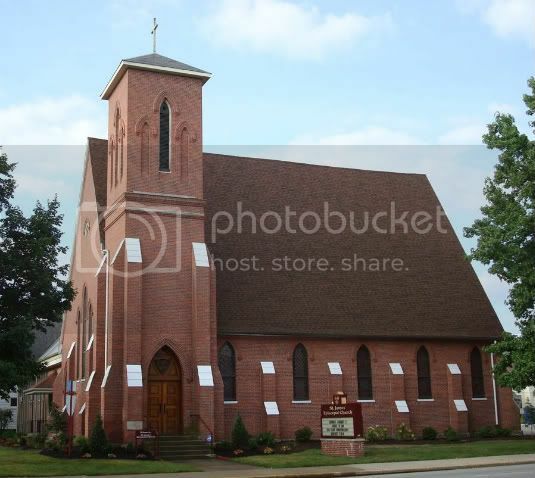 • The Tour committee will be responsible for giving tours of the Church at the openhouse. • The Food committee will be responsible for snacks and finger foods for the attendees of the openhouses on Friday night and Saturday. • The Mailing and Publicity committee will be responsible for forming the guest list, making and mailing out invitations and also for the local media publicity for the 150th event. • The Decorating committee will be responsible for decorating the Church for the openhouses. Janet will put out a sign-up sheet for Church members to volunteer for the sub-committees. Steve and Janet will work on the history of the Church along with the help of Father Larry. The idea was brought up to see if the display case at the Goshen Library would be available for the month of July to put a historic display together for St. James and to also promote the openhouse. Cecelia will check with the library if it is available. Father had a letter from Norma, Father Mosier’s daughter, who sent old photos and slides she had for the Church. Steve and Janet will work on them. Katie also turned a folder over to Steve and Janet with information on the welcome flyer. Father Larry reported he has been going through the Priest Records and shared with the group some of the interesting things he found such as how many people attended Christmas Mass in one of the years in the 1930s – over 500 people. He will continue to work on searching through the records and write down more as he finds them. Next meeting will be Saturday March 21st, 2009. Call the parish office if you have any questions. *Coffee Host Sign-Up - There is a new coffee host sign-up sheet available covering March through August, if you wish to sign up in advance. *Adopt-a-Bill - The "Adopt-a-Bill" bulletin board is in the upper parish hall. If you have a little extra cash at the end of the week or month, choose a sticky note with a category you wish to contribute to such as; postage, office supplies, discretionary fund, etc. Simply take a note and an envelope from the board, write your name on the note, and enclose the note in the envelope along with a check or cash in the ammount shown on the note. Then simply place the note in the collection plate. You will receive credit for "Adopting-a-Bill" on your contribution statements. *Housekeeping Duties Begin This Month - There is a monthly sign-up sheet for housekeeping duties in the upper parish hall. Can't do any heavy work? That's okay, because there are plenty of smaller jobs to be done too. Contact Rhoda if you have any questions. We already have volunteers lined up to cook sausage, but lots more help is needed. Can you lend a hand? If so there is a sign-up sheet located in the narthex. Call the parish office if you have any questions. Bring a sack lunch and join us for social time following the service. If you need transportation please let Fr. Larry know. Fr. Larry - Priest or Friar? 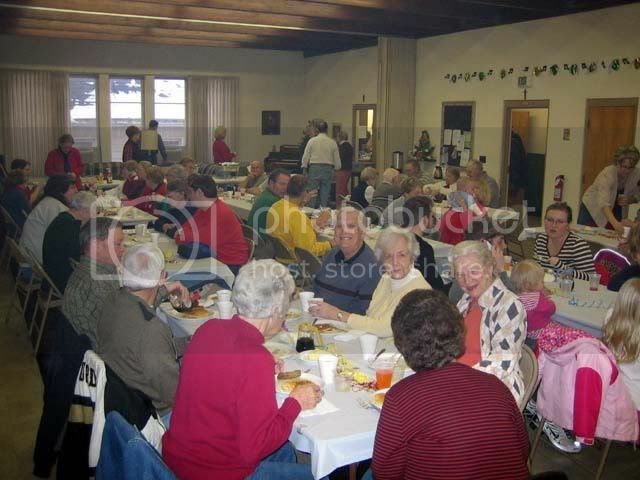 On Tuesday February the 24th, St. James' will host it's annual Shrove Tuesday Pancake Supper. The big news this year is that Fr. 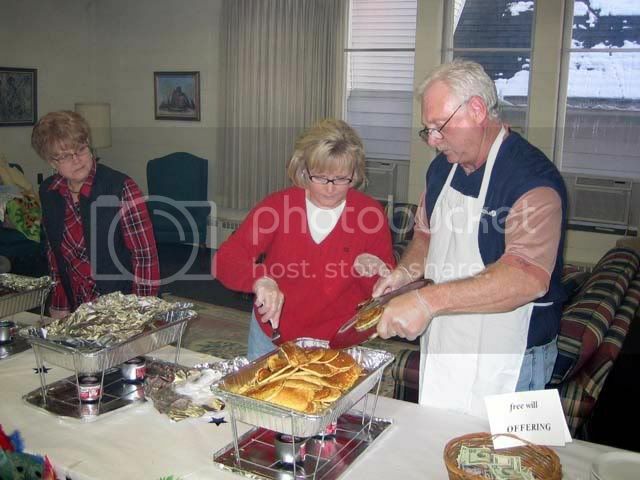 Larry has volunteered to fry the sausage for the banquet. During the relatively short time that Fr. Larry has been with us he has already proved that he is a fine priest. But the question remains, is he a good friar too?